Rose Otto, known as the Queen of Flower Oils, is one of the worlds most expensive and revered essential oils. This aromatic bath soak contains only natural Rose Otto Oil, which is steam distilled from petals harvested at dawn and is beneficial to dry and sensitive skin. Its exquisite, sensual scent has stress relieving, uplifting and soothing properties. 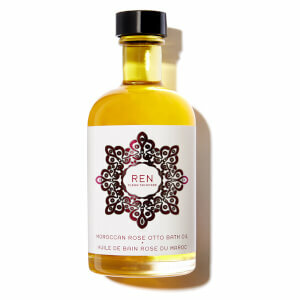 REN bath oils use 100% pure plant oils and 100% natural fragrance.